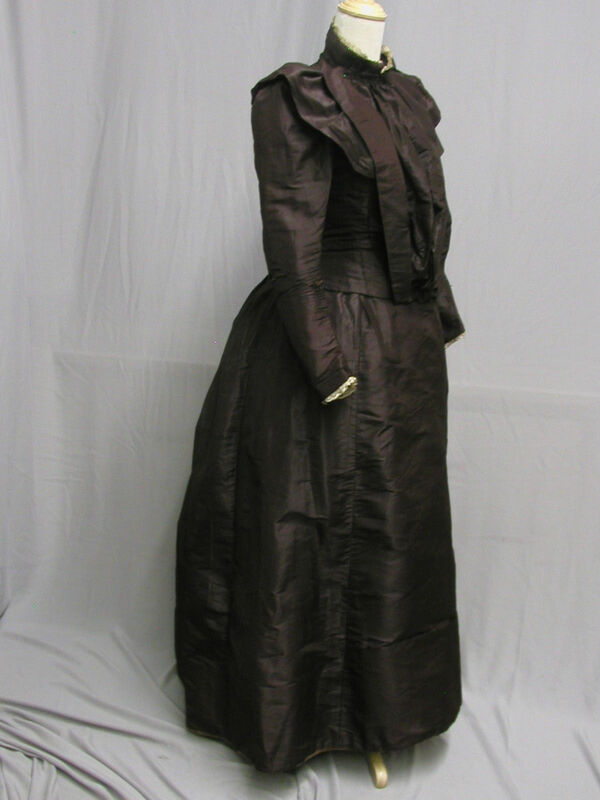 1890's Silk Bustle Gown Daytime 2 pc. 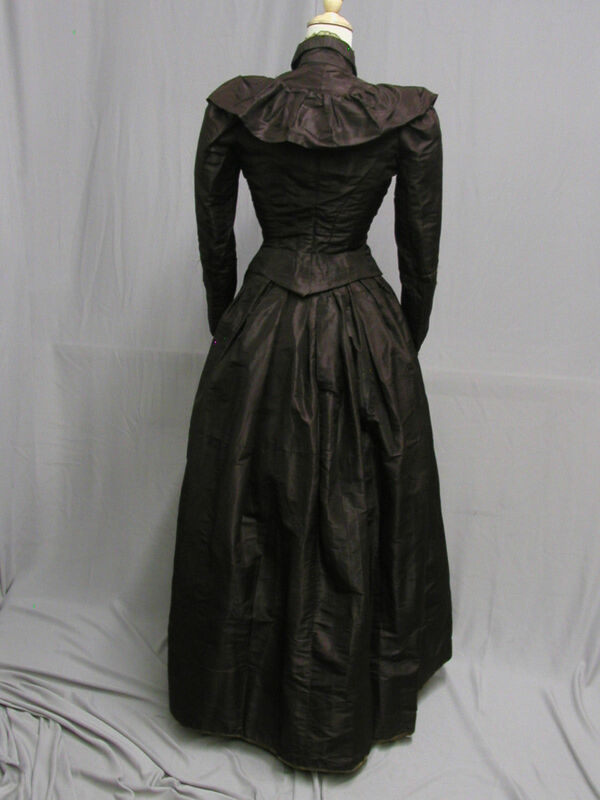 Ensemble: This 1890's bustle gown is made in a silk fabric that is somewhere between a deep burgundy and a rich chocolate brown. 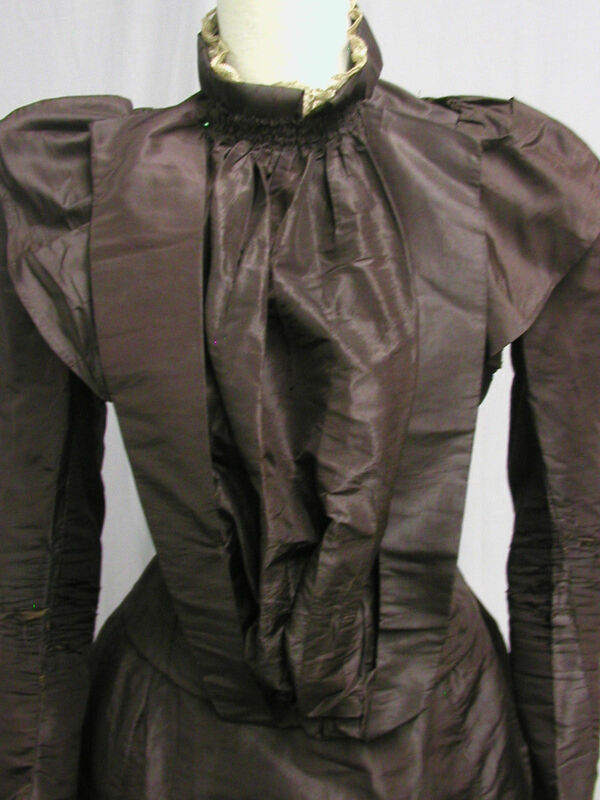 It has highlights of both colors. The skirt has a waist of 25”, and a length of 37”. 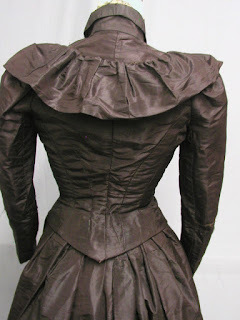 The bodice has a bust of 30”, and a waist of 23”. 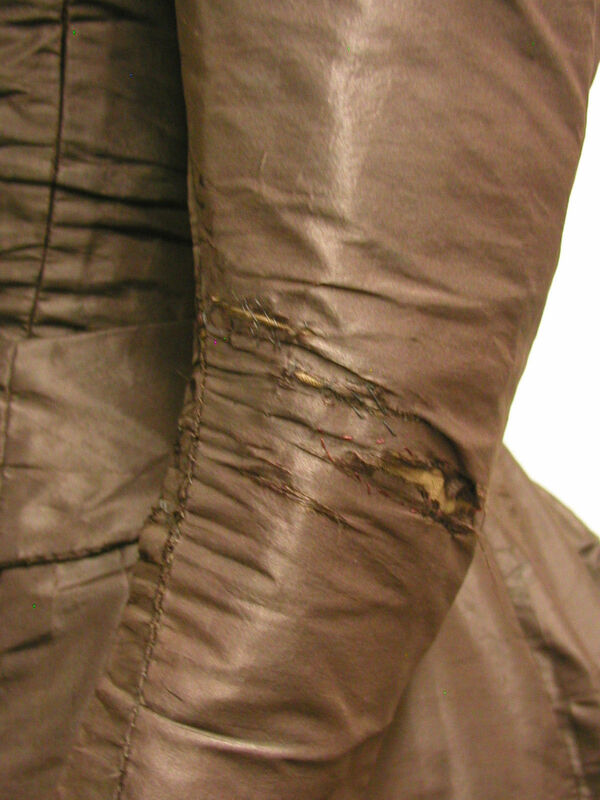 The skirt has wear and repair to the waistband. 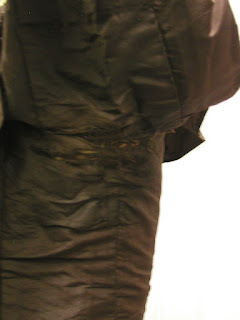 The seam has come out 1.5 inches below the waistband and there is splitting in the front (see photo) and some splitting in the back of the skirt. The bodice has splits at the elbows and staining and heavy splitting under the arms. It is missing some of its inner buttons and there are some mismatched buttons on the front bodice. You cannot see them because of the over piece. There are some missing hooks and eyes. The left side collar of the over piece needs to be tacked back on and there is no hook and eye to hold the top of the piece in place. The gown is too fragile to wear, but could be used for display or inspiration. The bidding will start at $0.99 with no reserve. ...There is no bustle on this. 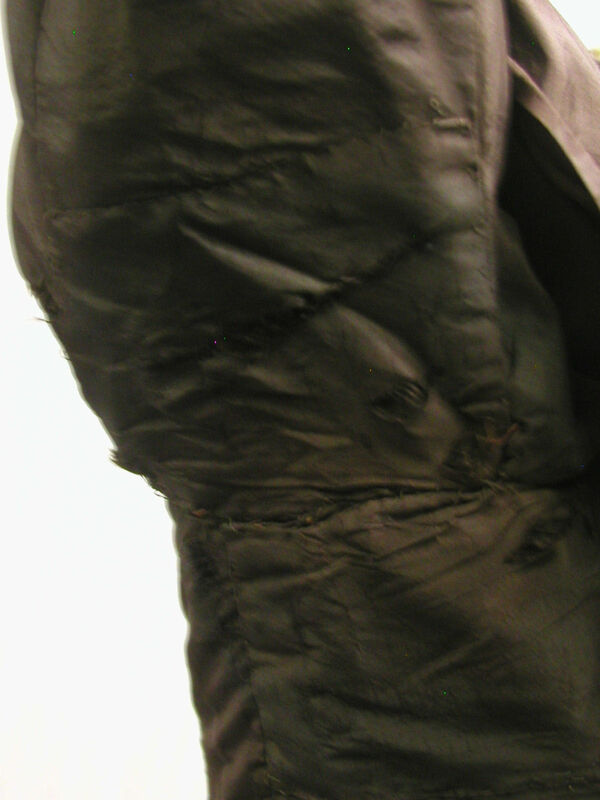 It curves over the backside - no extra padding needed on most individuals. 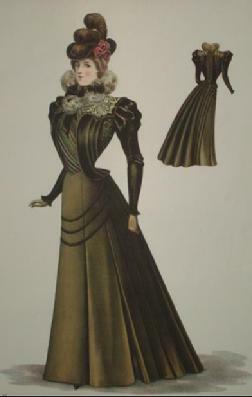 Anyway, it's about 1897 or so based on the sleeves and the front detailing.